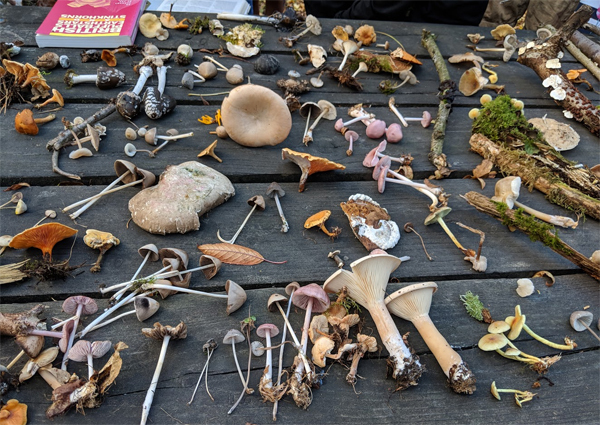 Armed with bags, baskets and buckets of enthusiasm, a large group of foragers set out on Sunday keen to delve into the dark and often mysterious world of fungi. A lovely sunny afternoon greeted us and under the expert guidance of Dr Vin Fleming, we set off through the autumn undergrowth. 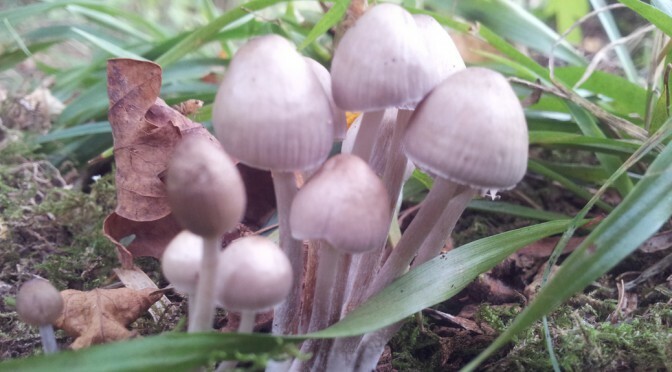 Dr Fleming began by setting younger foragers the challenge of finding the biggest and brightest fungi, but I think it fair to say that a general sense of competition ran through the entire group as parents, grand-parents, aunts and uncles set their sights on searching out the most spectacular of the fungus world. And we weren’t disappointed. 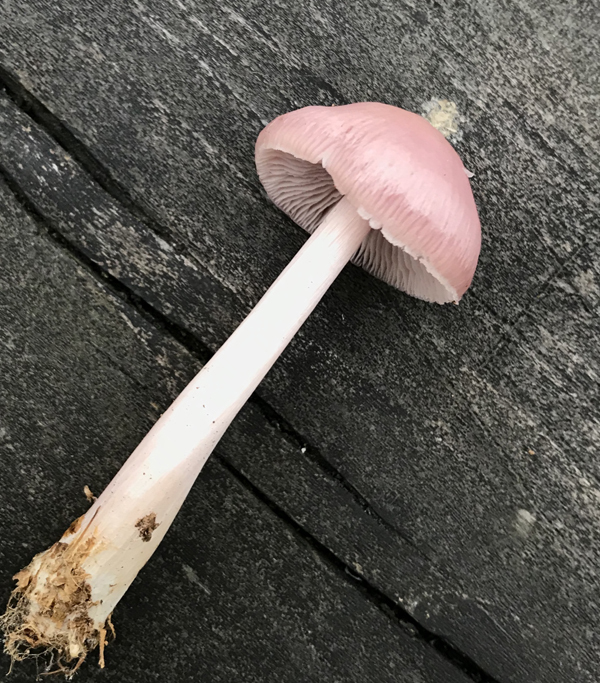 From creamy Giant Funnel Caps to the tiny but brilliantly green Parrot Waxcap and the delicate almost translucent parasol of the Pleated Ink Cap, around 40 species were found by more than 50 foragers in less than an hour – a spectacular result and a surprise for many to learn just what tiny treasures grow beneath our feet. 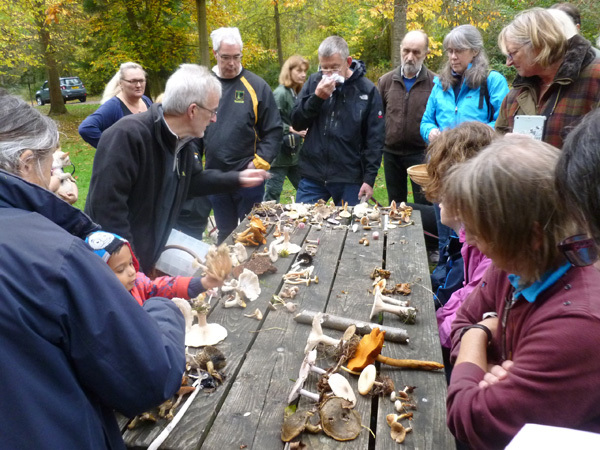 Dr Fleming regaled us with tales of shamanic rituals involving the striking but psychoactive red and white Amanita Muscaria – more commonly known as Fly Agaric. 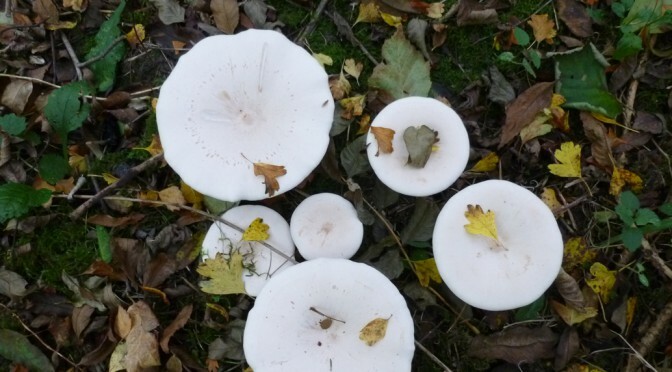 He demonstrated how the humble Puffball cleverly disperses its spores in the wind, and on our behalf he tasted the milk from an innocuous looking Lactarius Milk Cap only to report the flavour not dissimilar to battery acid. 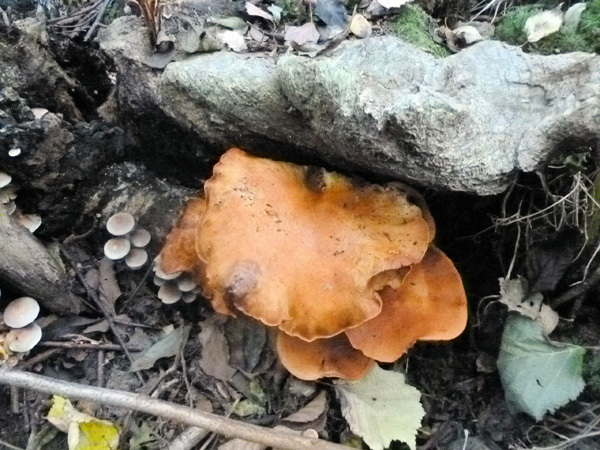 On the subject of taste, the most common question posed to our expert was perhaps unsurprisingly: “Is it edible?” Dr Fleming was at pains to point out that eating fungi other than those bought at a supermarket is something best left to the highly trained, despite the temptations of a seemingly endless supply of free food. 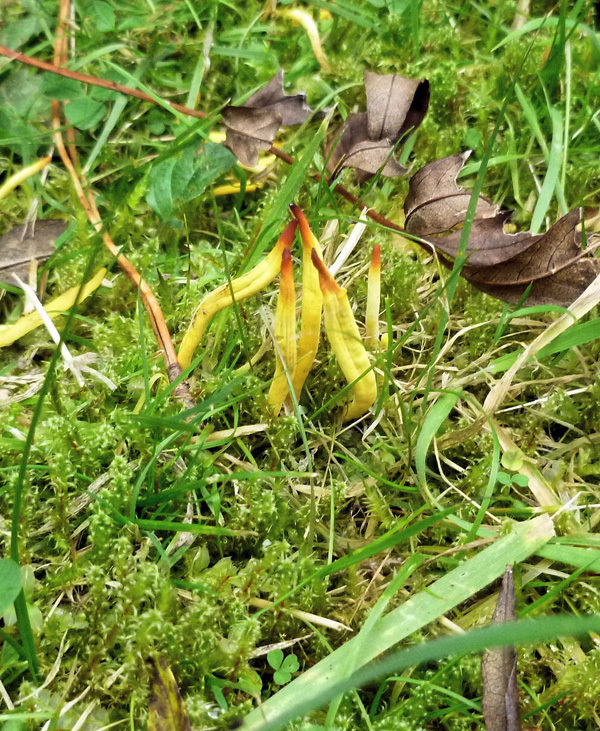 But if we couldn’t eat them, we could definitely smell them and much joy was had discovering their perfume; from the pleasant essence of aniseed and cinnamon, to the less agreeable whiff of old laundry and raw potatoes. 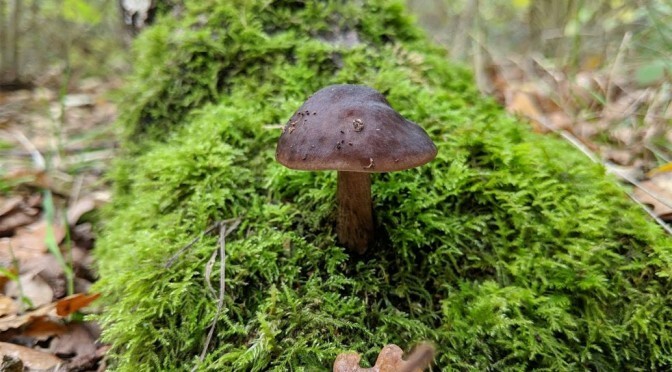 And for those able to identify the smell, it was reported that the odours of disused lift shafts, Russian leather and even bed bugs are not unusual bouquets to find among the fungi family!